Our guest this week is Jen Schachter. 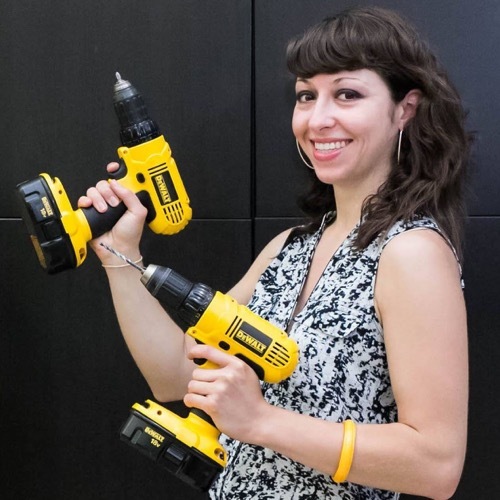 Jen is a multimedia maker and a mastermind of interactive art projects, including a giant light-up sign for the Obama White House, a wooden parking validation robot, and a monumental 3D-printed sculpture of Rosie the Riveter. 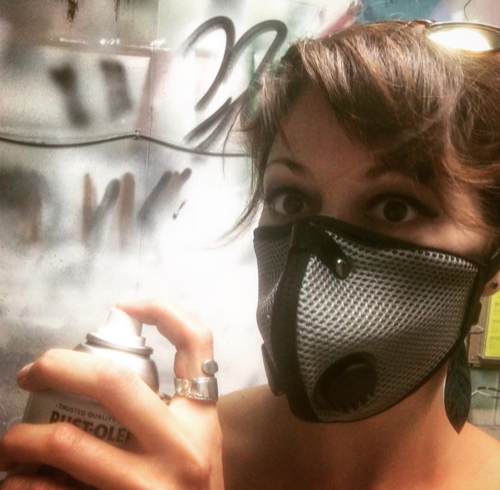 You can find her product reviews in Make Magazine, her epic collaborations with Adam Savage on Tested.com, and her tool manuals in fabrication shops in Baltimore. This is an excellent alternative to the rubber respirators that are standard in most shops. It’s a breathable cloth filtration mask with one-way air vents that prevent condensation from building up inside. It’s comfortable to wear, doesn’t suction to your face, and the straps are a lot easier to get on and off. They have 4 different kinds of filters available for dust, fumes, smoke, chemicals and stuff, down to .1 micron. The fact that it’s so comfortable means I’m not constantly ripping it off so it’s actually doing its job — saving my sinuses, my lungs, and probably my life in the long run. 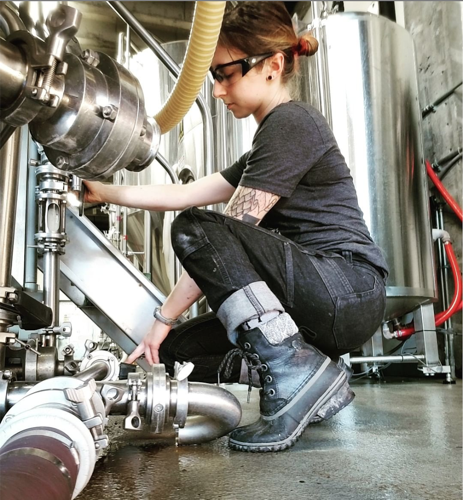 These work pants are a gamechanger for women in trades. They fit really well, have lots of deep and specialized pockets, reinforced knees, and tool loops. They are made of super thick rugged denim that stretches. You can literally do squats in them with full mobility. The other thing I love, apart from the name and the function is the company was founded by three women, and their marketing is really diverse and inclusive of different body types, skin colors, and gender expressions. I have a pair of their Maven Slim Stretch back from when the brand used to be called Moxie and Moss, and it’s pretty much all I wear in the shop. They have other cuts and styles, overalls, shirts, and other gear too. My one complaint is they are always out of stock because they’re in such high demand! I’ve had a Craftsman Bolt-on tool for 6 years and it’s probably the power tool I reach for most. It’s a cordless, interchangeable multi-tool with one drill-type handle and a whole set of attachments that snap on and off. 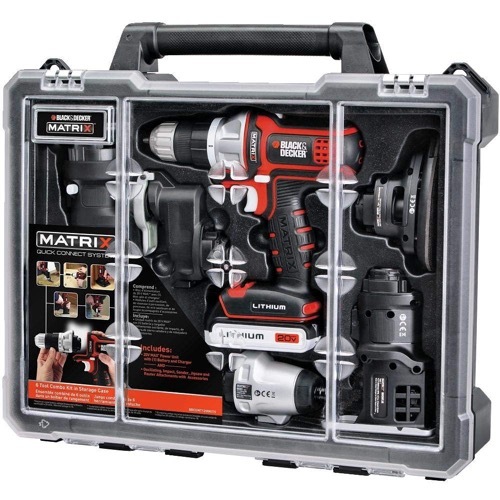 Unfortunately Craftsman discontinued them, but Black and Decker’s version, The Matrix, looks about the same and it has 4.5 stars and 400+ reviews on Amazon so it’s probably a safe bet. Theirs has attachments for a drill, sander, jigsaw, oscillating tool, router, and impact driver all in the base kit. You can also get a trim saw or a reciprocating saw. I use the heck out of the drill, trim saw, and sander on mine. It’s definitely not going to replace a serious router or circular saw, but it’s great for quick and dirty projects or anyone who has limited space or budget. This is a low-profile, lightweight but high-powered LED light that’s designed to be mounted to a camera, but really versatile in how it can be used. I’m a novice when it comes to photography and video, but I’ve been researching and starting to up my game when it comes to documenting my work. 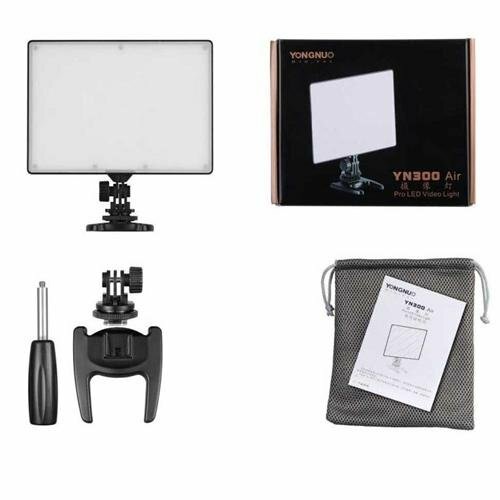 This light is inexpensive, and you can attach it not only to a camera, but also a light stand or tripod, it has adjustable brightness, color temperature, for tungsten or daylight, and it can be powered with AC power or a rechargeable battery. Adam Savage used a very similar LED panel to build a custom shop light. One piece of advice: it doesn’t come with power supply, battery or charger so shop around for a good deal on one.